Choose from several different designs of display flags; traditional rectangular, teardrop, feather flags. Upload your graphics in our online designer or speak to our printing experts at the flags store for free assistance to help you make a great flag product fit for your purpose. Order your single or double sided flag - just be sure to specify at the time of ordering. Express flags, made in the USA at our Florida flag shop. Your satisfaction is guaranteed. Flags are mounted on flag stands, X banner stand bases, hanging or pole mounted. Bases can be weighted, if necessary, for extra stability. When not in use they can be wiped down, dried and stored easily for the next event. Have your flags custom made to ensure originality. We print any design in the format you require. Talk to our design experts who are happy to assist you with your order. Banner flags provide eye-catching signs that wave in the breeze when used outdoors. Different shapes allow for printing of messages, logos and company names. Feather flags can be convex or angled in shape; either style allows plenty of print area for your message to be printed in glorious full color. The classic tilted teardrop shape of this flag is sure to stand out and ideal for a wider print area at the top. Great for outdoor events and promotions. 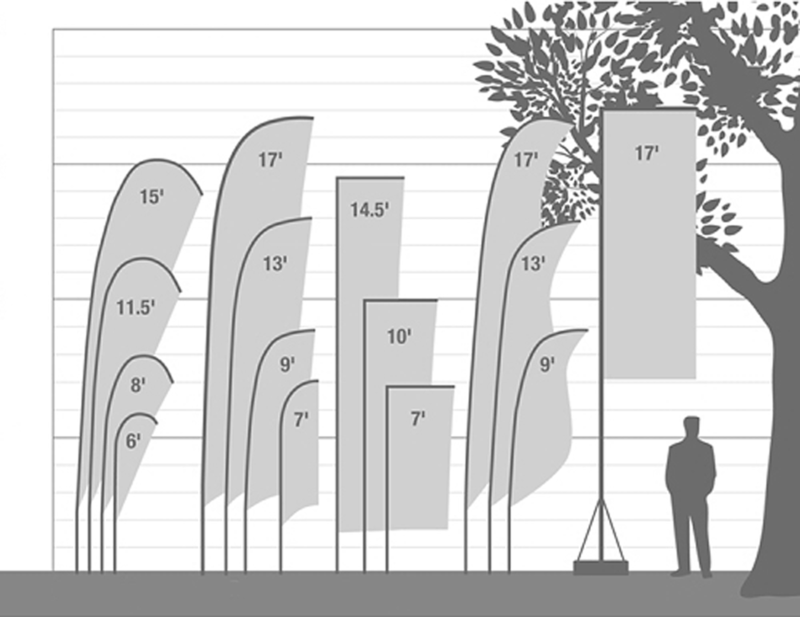 Standing tall on a firm X base, display flags in all shapes can be used for markers, advertising or decorative purposes.